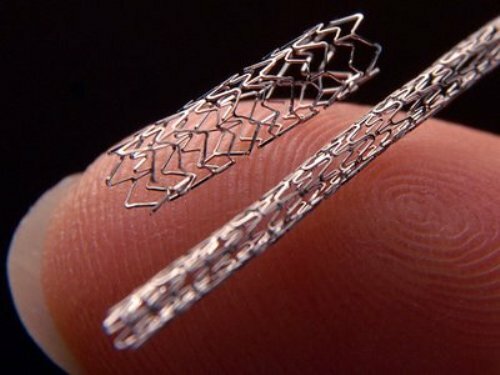 Test have concluded for placing metal stents in the brain for people who have narrowed or blocked brain arteries. Stenting has normally been reserved for heart disease patients but the procedure can and does in some cases cause complications. This new study has confirmed that by placing a metal stent in the brain has no longterm benefit compared to regular blood thinning medications. Recent advances in surgical techniques and tools have allowed physicians to improve blood flow in narrowed brain arteries by adapting procedures used to open clogged arteries in the heart. The trial was funded by the National Institutes of Health (NIH) and involved over 450 patients who were at high risk of having a repeated stroke. The final results of a stroke prevention study in patients with narrowed brain arteries confirm earlier findings: Medication plus lifestyle changes are safer and more effective at preventing stroke than a surgical technique called stenting. Enrollment in the trial was halted two years ago when it became apparent that stenting was associated with a higher risk of early strokes and death. The study, led by researchers at Washington University School of Medicine, the Medical University of South Carolina, Emory University and the State University of New York at Stony Brook, appears Oct. 26 in The Lancet. The same day, the researchers will present their findings at joint meetings of the 6th International Conference on Intracranial Atherosclerosis and the 6th annual meeting of the Society of Vascular and Interventional Neurology in Houston.